Brace yourself to get something intensively extreme! Hi-Tech does everything possible to please us, providing one of the best prohormones as of today to assist us in muscle building, SHBG reduction, and even testosterone increase! 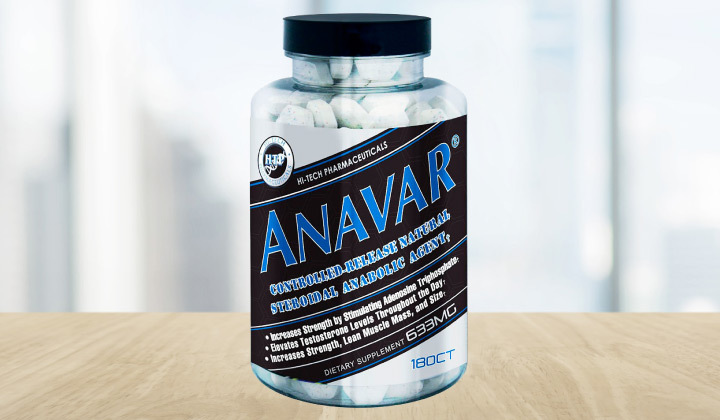 Introducing Hi-Tech Pharmaceuticals Anavar – a must-have in bodybuilding! Where to buy Anavar ? How does Hi-Tech’s Anavar work? The process of gaining muscle mass is among the most important things every athlete ever thinks about. The questions like how often and how many supplements to take, or how long it takes to gain some extra pounds in weight, or how to get ready for a lift competition or reach objectives in no time often haunt every athlete. OK, you can stop wondering and looking for necessary aids now. Rest assured you have just come across one of the best or even just the best supplement used by athletes to increase their muscle strength, gain lean muscle mass, and even achieve extreme muscle definition! Introducing Hi-Tech Pharmaceuticals Anavar which promotes the controlled natural steroidal anabolic agent release! Let’s dig a bit deeper and use some scientific knowledge to comprehend the importance of this product for bodybuilders, and why it is a number one substance every sportsman needs in their daily workout! This bodybuilding supplement provides results because it includes ingredients working within your body to assist you with your goals. The substance components create an anabolic environment inside your body and promote muscles build up and high recovery rates. One of the main components is 4-Androstenolone or 4 Androstene-3b-ol,17-one or simply 4-Andro. 4-Andro is best known for its contribution to testosterone levels increase and physical performance improvement. Another component is 1-Androstenolone or 3b-hydroxy-5a-androst-1-en-17-one. People call it simply 1-Andro. This hormone helps sportsmen block the estrogen hormone and convert DHT. Consequently, the hormone regulates the estrogen release in your body and there is no need to combat testosterone. As a matter of fact, the hormone is considered to be one of the dry prohormone and you can use it for a bulking cycle. And finally, the Anavar includes Epiandrosterone, also known as 3b-hydroxy-etiallocholan-17-one, or simply Epiandro. This ingredient does not convert to estrogen either. So, you have two components that assist you! Naturally found in pine pollen, Epiandro helps you increase strength. We advise you to take 3 tabs in the morning and 3 tabs in the afternoon or in the evening. Keep to recommended dosage because Anavar is a powerful probolic agent. For PCT we recommend Arimistane by Hi-Tech Pharmaceuticals. You might be interested in: Super 1-Andro Rx » IronMag Labs » Want to try? Do I absolutely need to use PCT after just 4 pills of anavar a day for one month?